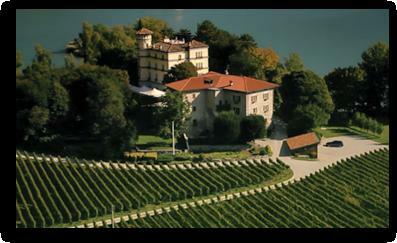 Founded in 1957, Cavit has earned an international reputation as an innovative leader in Trentino winemaking. Today it is responsible for approximately 70% of this northern Italian province's entire wine production. The company is based on a partnership between 5,000 member growers, organized into 14 associated cellars located throughout Trentino in zones noted for the quality of their production. Grapes are crushed and vinified at each cellar and after selection sent to Cavit's central winery near Trento for finishing, bottling and aging. Cavit is a capital example of cooperation and size on a human scale. Trentino winemaking families are able to tap into a pool of resources and attain levels of quality that might otherwise lie beyond their reach. Strength in numbers has also enabled Cavit to develop its own showcase hospitality and research center (which works closely with Italy's most prestigious school of viticultural research at nearby San Michele all'Adige), at the beautiful Maso Torresella, a former archbishop's castle on the shores of Lake Toblino. The rewards of cooperation between Cavit's growers are apparent at every level, not least among consumers, for whom Cavit produces consistently high quality, affordably priced premium wines that have captured literally hundreds of awards and medals to date and are in demand in over 20 countries worldwide. Wine Enthusiast - Best Buy"Shows ripe tones of melon, peach and ripe tangerine. It feels easy and soft in the mouth and shows subtle fragrances of white mountain flower as well."